The Ruth First Memorial endowment was established through the generosity of Rose Schiff, Eileen Schiff Wingard, and Zina Schiff Eisenberg in memory of their beloved daughter and sister, Louise Joy Schiff. They designed these funds for annual lectures on black liberation in southern Africa. The African and African American Studies Department, and specifically the late Professor Glenda Waite, and Professor Wellington Nyangoni, decided to name it in honor of Ruth First. And thus began the lecture series in 1985. Ruth First was a white South African who was dedicated to the freedom of all South Africans in the apartheid regime under which they lived. 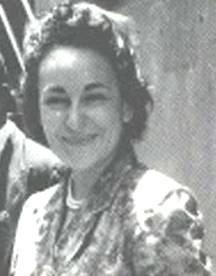 The child of Communist South Africans, she devoted her life to the Communist Party as the Johannesburg reporter for the radical weekly Guardian, for instance, she exposed the Bethal farm labor scandal in which persons sentenced for petty offences under the Pass Laws were covertly sent to work in terrible conditions in farm-prisons and she helped to organize the resulting potato boycott campaign. This newspaper was repeatedly banned, only to reappear under different names. Ruth First was among many charged in the Treason Trial in 1956, when the African National Congress, or ANC, and other organizations were charged with trying to overthrow the government. In 1963 she was arrested, imprisoned and released on condition that she would leave South Africa permanently. She writes about this in the book "117 Days." She eventually settled in Mozambique, with her husband, prominent anti-apartheid activist Joe Slovo. She became the director of research for the Center for African Studies at Eduardo Mondlane University. And it was here in her office, on Aug. 17, 1982, that she opened a large manila envelope sent from a United Nations agency — all mail to Mozambique went through South Africa — and was instantly killed by the explosive device that had been placed in it. Her funeral in Mozambique was attended by thousands, and was addressed by President Samora Machel (the late President who would eventually be assassinated as well). Dan Magaziner is Associate Professor of History at Yale University.